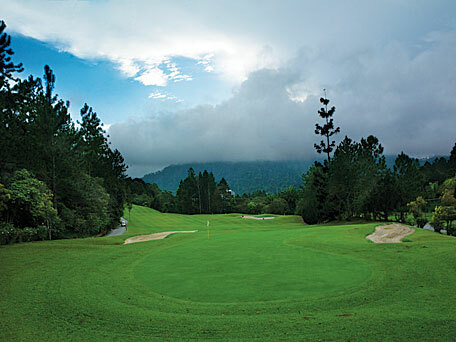 Malaysia Land is a land of many charms with ready smiles and excellent golf! Start with Kuala Lumpur the capital and ‘pulse’ of the nation, visit Penang ‘Pearl of the Orient’ with its narrow streets, trishaws, temples and more. 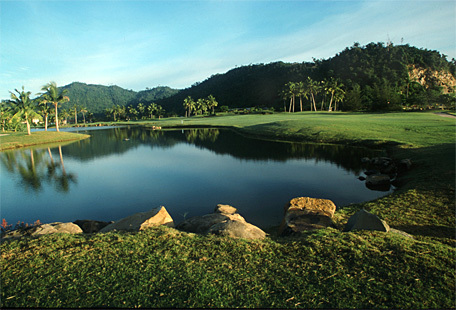 On the legendary island of Langkawi is the Datai Bay GC, nominated as the third best in all of Southeast Asia. Looking for adventure? Travel to the Island of Borneo with its rainforests, longhouses, Orang Utans and spectacular golf. You have Sabah with its perpetual blue sky, coral-studded sea and misty mountains. Sarawak, land of hornbills, Orang Utan Sanctuary and challenging courses - one, the Hornbill Golf & Jungle Club, was launched by Tiger Woods and is rated as one of the most exotic courses in the world! 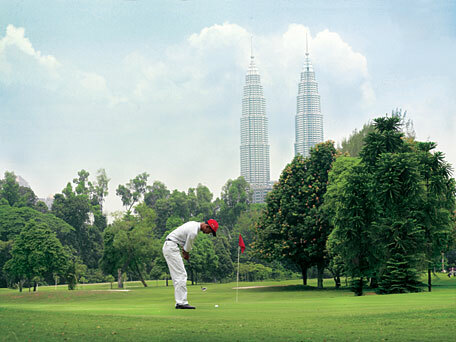 Malaysia is truly unique as a golfing destination, and with over 190 courses throughout the country experts consider Malaysia to be an undiscovered gem for North American golfers seeking a unique vacation experience with easy-to-access and affordable, world-class golf. There is a wealth of world-renowned course designers who have designed a wide-variety of layouts taking advantage of the mountains, the rain forests and the seashore in their design concepts. Two courses that have attracted attention of late are The Mines Resort and Golf Club, just outside Kuala Lumpur, which hosted the 1999 World Cup featuring Tiger Woods and Mark O’Meara as well as the Women’s World Cup in 2000. In Borneo the Borneo Highlands Resort features the magnificent Hornbill Golf and Jungle Club launched by Tiger Woods in 1999 to rave reviews. Malaysia is a land of incredible contrasts, and a golfer's paradise. The World Amateur Inter-Team Golf Championship Tournament is set for 2008. There are seven preliminary rounds where amateur teams compete at a variety of venues. Four winners of each round will be invited back to Malaysia , all expenses paid, to compete in the Grand Final Tournament in Malacca. The Tournament Package includes a two nights in Kuala Lumpur to relax and freshen up after your flight, then it’s off to play in the tournament. Dates are confirmed. The Venues are subject to change. There will be 7 preliminary rounds to be played at selected championship golf courses. Each round will be open to maximum of 32 teams on a first come- first-served basis. 2 gross teams based on stroke play. The qualifying teams from the preliminary rounds will be invited to play in the Grand Final hosted by Tourism Malaysia. All members of the team will be provided with roundtrip air, accommodation, ground transportation and daily breakfast. **Price shown is a guide and may change depending on the actual travel date and tournament venue chosen. Price is calculated on the exchange rate of October 04, 2007 and subject to change without notice. ***With only 3 players in the team, the COST will change.